My recent goal was to gather eighteen edited hours of my Super 8 wildlife films from the last 30 years and transfer them to broadcast quality video. 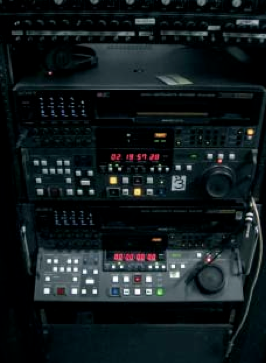 I chose CinePost in Marietta, Georgia to transfer the footage using a wet gate video transfer on a Rank Cintel Turbo. Because of the nature of small gauge film, post production was required to remove scratches, stabilize the frame registration and color correct some of the footage. The end result was beautiful, rich imagery that shows how far you can go with Super 8 if you have good footage to begin with. Doron Hirshberg (right) at CinePost, together with colorist John Kuhn at a Rank Cinetel Turbo. 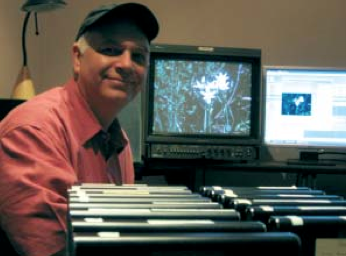 Twenty-one years ago, I transferred my film, “A Symphony of Magic – Wild Orchids in Israel,” on a Rank Cintel telecine at SFVL Studios in London (nowadays it’s “The Machine Room”). 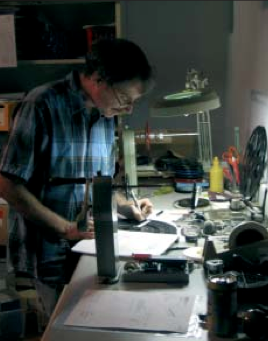 David Atkinson, a dear English gentleman, is the manager of the studio and highly devoted to the Super 8 format as well as 9.5 mm, on which he’s done a great preservation project. Thanks to David, I managed to transfer my own film onto a one-inch type C-format master, with stunning results that led to a BBC2 prime time broadcast. This time around, after much searching throughout Europe, I discovered CinePost and was stunned by the results of the test film they transferred for me. 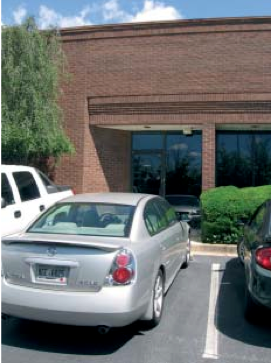 CinePost studios are based in Marietta, Georgia (USA), in a humble building in an industrial area. This modest and nondescript studio reveals the secret of its top quality Super 8 transfers in global terms: extremely professional people who never stop thinking about how to improve a given image and – above all – who have the talent and facilities to do just that. 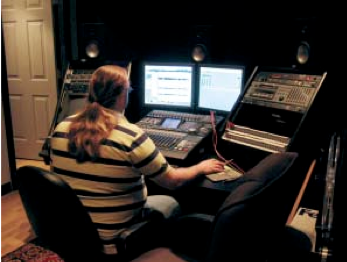 Myron Lenenski, head of CinePost studios, specializes in hard disc mastering of all film formats (S8, Regular 8, 16 mm and 35 mm). But beyond the technical know-how, he’s gifted with deep wisdom. This impressive, wise man showed me the way to the best results when I sometimes got lost in an ocean of technical options. Myron even proposed the stunning and exciting idea of having my S8 film on Hi-definition for those television stations that use broadcast 16:9 ratio HDV. This can be done at CinePost, and it shows just how far you can go with Super 8 if you have technically good material to begin with. This format, far superior to ever-changing video formats, will live much longer than seasonal video fashions! 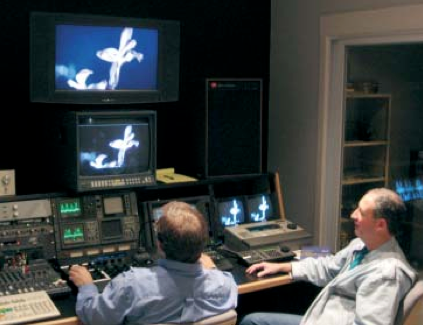 John Kuhn operates CinePost’s Rank Cintel Turbo. If a value can be put on extremely rich experience since the early seventies, then John is a “treasure chest.” I have never met a person with such wide knowledge and rich experience with almost any film or video format you can name. Luckily for me, John has tuned the Telecine machine to make film grain nearly invisible in most cases, and very fine and gentle in those shots where it becomes visible. He knows every button, knob and function of this very complex machine and fiddles around with it like a great maestro. I’ve never tried any other Telecine machine, but as far as I’m concerned the Rank Cintel Turbo is a miracle. Not only does it utilize a flying spot scanner, a system that sends an electron beam to scan the picture area – similar to an electron beam microscope – but it reveals so many details in dark picture areas that even a normal eye looking at the film against a strong fluorescent light wouldn’t see them. The vivid, natural colors are deep and saturated, making Kodachrome look as beautiful as can be. Images are extremely sharp and natural, pan shots – even rapid ones – don’t blur the image, as can sometimes be seen on 16 mm footage. When you view a Rank Cintel image, you immediately get a feeling of cinematic quality. The most noticeable problems with small-gauge formats like Super 8 are scratches, dust particles, and – occasionally – terrible grain. Another significant difficulty with my footage was the elevation of tape-spliced scenes one second before the end of the shot. This is clearly caused by the significant tension of the Rank Cintel Telecine machine, and the longer you leave the film in a stopped position the more it will be stretched and then raised even more. This effect cannot be ignored when you watch the running film. The transfer machine: Rank Cintel Turbo. Some of my films had been scratched when I ran them through the Agfa family projector for editing. This projector was my best choice because I could play it back and forth like a reel- to-reel tape, and it has single frame advance to precisely position the cutting point. Luckily, it only scratched the base (shiny) side of the film, unlike many projectors that scratch the emulsion off, which is irreversible. Blue or green scratches are emulsion scratches. Scratch elimination is a major and painful problem that is especially bothersome, especially when you care so much about your precious footage that you’ve worked so hard on. It’s painfully visible, always annoying, and distracts from your filmed images. Scratches are simply not meant to exist, period! I searched all over Europe, and all they had was dry gate Telecine. In Canada, the combination of Super 8 and wet gate doesn’t exist, as far as I know. The last refuge was America – the great homeland of Super 8 legends such as Lenny Lipton, Dennis Duggan, and other great filmmakers who were part of the legendary “Super 8 Filmmaker” magazine back in the seventies. 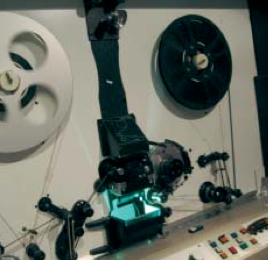 But even in America there are very few Telecine studios that really eliminate scratches from the tiny Super 8 format, which is disregarded by the “big boys” with their impressive 16 mm, 35 mm, and 70 mm tools. The home of CinePost, Marietta, Georgia, USA. After much research in Europe, I discovered CinePost and was stunned by the results of the test film they did for me. I sent them shots that were clearly scratched, and some of them had a dancing partial scratch in the middle of the picture area. The result? Beautiful and rich images, and I couldn’t find the scratches; although I know they’re certainly there! I had seen them and thought I could never get rid of them. The CinePost people use a wet system that wets the film prior to its arrival at the Telecine gate. 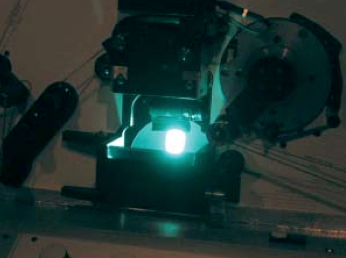 A scratch on the base (shiny) side of the film diffracts the light beam, causing it to become visible as a black line along the film. When this scratch is filled with liquid, it still exists physically on film. However, it becomes transparent, since light travels through the fluid without diffraction. It’s like an aquarium: if the inner glass is scratched, you’ll see it against the light, but it will vanish at a certain angle if you add water to cover it. The wet pass also cleans dust particles and other dirt from the film, except for particles that adhere to film plane, which remain visible. You will never get one hundred percent clean film, but even this can be fixed – as I will discuss later. It took me well over 400 hours over the course of six weeks to replace around 6500 splices in preparation for the transfer, as well as manually scanning the endless film from both sides, looking for dirt stuck to the film plane. I had originally chosen Fuji 500 Single-8 splicing tape since it is extremely thin and strong (Fuji probably matched it to the polyester Single-8 films that cannot be cement-spliced). This tape covers exactly two frames from frameline to frameline and has two slits to uncover the sprocket holes. All in all, this seems to be the perfect splice for Telecine, but it is not enough! If splices occur regularly, they will probably raise the image before the end of every shot. Super 8 on Betacam Digital. Kodak manufactured many defective Kodachrome cartridges during the last few years. In some cases the film just stopped advancing and jammed, in others it ran unevenly – causing the camera motor to slow down and back to normal, so the shot had waves of over- exposure, as well as jumping frame lines. These shots were useless and could be easily detected while filming by listening to the motor. Kevin Christopher, digital restoration artist. However, minute fluctuations couldn’t be detected and only appeared during the Telecine transfer. I had some new Adobe software and man- aged to eliminate the flicker from even a badly flickering pan shot, like magic. Another problem was a two second blue scratch in my opening shot – entirely erased by Kevin. One x-rayed bluish foggy shot now looks almost normal. One burned frame in the middle of a time-lapse shot has been removed and the affected areas of the frames before and after have been polished – and you can’t tell where the defect was! All of these magical corrections by Kevin were totally unexpected. I was absolutely sure all was lost. Digital editing is like magic – you don’t know how it’s done but it’s real! Image mis-registration, dust particles, color and hue, contrast, blue emulsion scratches, day for night – an endless list of changes can be made after video defects can be partially or completely eliminated. There’s always a second chance, even after you painfully watch those defects that manage to escape even the highest quality Telecine studios. The heart of the Rank Cinetel Turbo. If you shoot Super 8 films with the best cameras, films, and technical precision and transfer your footage to Digi-Beta tape in a respected studio, your only concern will be whether a television station will be interested in your topic. However, the technical quality will be unquestioned. Doron Hirshberg is a Super 8 film amateur interested in the beauty of nature. His films have been broadcasted on BBC2 public television (London, UK). Hirshberg is living in Jerusalem, Israel. He filmed only with Kodachrome since he was a kid, back in 1972.